After a few indifferent performances, Skerries had a must win game against Galway Corinthians at Holmpatrick on Saturday. There were a few notable changes to the home side for this game none more so than the return of Conal Keane at number 10. Other changes in the team was the starting of AJ and Evan Sherlock in the pack, Ciaran Frawley moving to full back and Colm Doyle also deputising on the right wing for the injured Eddie O’Mahony. Saturday was a cold crisp day with good starting conditions for running rugby. There was a good crowd in Holmpatrick to support the players and the awaited return of Conal Keane. Skerries started the brighter and moving the ball through the hands and making a number of telling phases. Conal Keane at 10 controlling matters. However Galway Corinthians were stifling the home attacks with some very good and aggressive attacks. There were also a number of stoppages which slowed down the pace of the game. Skerries made an early change at prop with Cormac Marrey coming in for John Condron. Surprisingly it took almost 30 mins into the game for the first score of the game. Skerries forwards led by an excellent AJ Sherlock and supported by Thomas O’Hare and Ross Mc Auley paved the way for the opening try. After a number of good phases, the ball was pushed wide and with some good acceleration, Thomas O’Hare scored in the corner. It was excellently converted by Ciaran Frawley to give Skerries the lead 7-0. Just on the half time mark and it was looking like a one score game, Skerries went through a number of good phases linking backs & forwards before scoring a second try by the impressive AJ Sherlock leaving the score 14-0 after 40 mins. The second half looked promising for the needed bonus point that would help Skerries but some more aggressive tackling from Corinthians didn’t let Skerries away easily. The second half was a stop/start affair but with Skerries playing the better attacking rugby, the home crowd were hopeful of more tries. Shortly into the second half Skerries were reduced to 14 men with a yellow card giving Corinthians an advantage. Skerries had to defend resolutely but some great try line defence and carries from captain Ross McAuley, Skerries weathered the storm. Conditions become difficult once the rain arrived but Skerries kept plugging away for that 3rd try. Fresh legs off the bench James Faiva came on for his last game before heading back to New Zealand for Ross Dempsey and Robbie Jenkinson on for Eoghan Carron at scrum half. With 10 minutes to go and after a number of phases Ciaran Frawley was credited with Skerries’s third try which was he superbly converted from the touchline putting Skerries ahead 21-0. Skerries chased that elusive 4th try but tiring legs, some inaccurate passing and continued resolute defence ,it did not happen and the game ended in a 21-0 win for Skerries. After a few tough games for Skerries it was good to get back to winning ways and sets up the team for a very tough encounter against league leaders Banbridge. Great credit goes to the players for their commitment throughout the game, the team kept trying and played with great spirit. 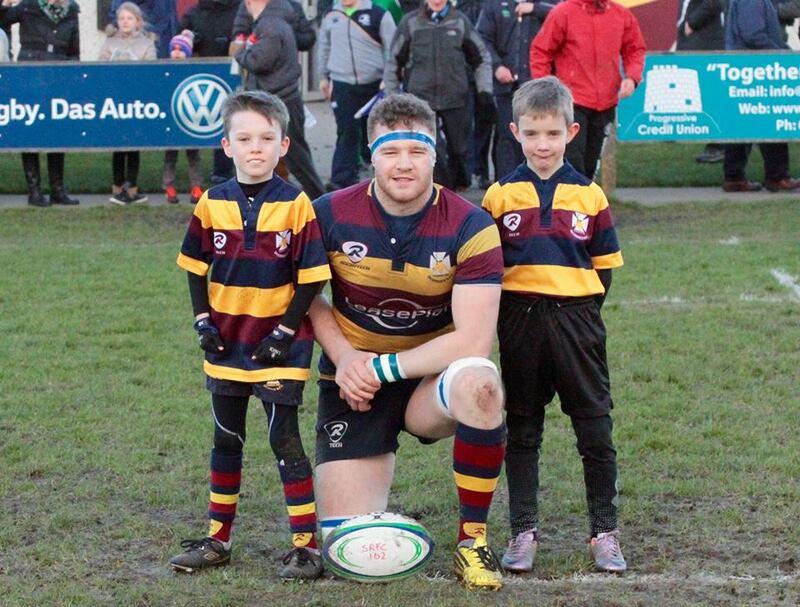 Skerries next AIL league fixture is Saturday 6th of February away to Banbridge. Skerries team 1 to 20…. John Condron Kieran Leonard N Foster Joe Glennon Aj Sherlock Thomas O’Hare Evan Sherlock Ross McAuley(Capt.) Eoghan Carron Conal Keane Derek Keane Ross Dempsey Kevin McGrath Colin Doyle Ciaran Frawley Cormac Marrey Eoin Matthews Ross Halligan Robbie Jenkinson James Faiva. Skerries 2nd XV had a notable away Metro league win against Rathdrum in very wet and difficult conditions winning 24 – 13 which pushes the team into joint 2nd in the league.